The Cross Country program began in 2009 with a high expectations. Although open to both guys and girls, the first team was all girls. Even though it was the first year, the team placed second at sectionals and advanced to state. At state, eighth grader, Amy McKelvey, won the 1A-2A Individual State Title. The next year the team returned to state after placing third at sectionals. The 2012 season saw the beginnings of a guys team with two male runners joining the group. The sport has grown into a competative program for both males and females. 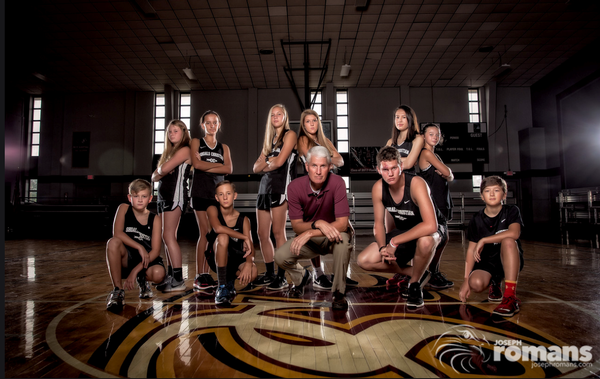 Coach McKelvey has been coaching the Flame Cross Country team since August of 2009. He is a graduate of Lawrence County High School, Samford University, Southwestern Baptist Theological Seminary, and earned his Doctor of Ministry degree from the Beeson School of Divinity at Samford University. He has been running for over 20 years and logs a minimum of 1200 miles per year. He has been awarded numerous trophies, plaques, and certificates for his participation in 5Ks, 10Ks, half marathons, and full marathons. Apart from coaching cross country, Dr. McKelvey is the Senior Pastor at First Baptist Killen. He is married to Rachel McKelvey and has 3 children: Anna (SCS Class of 2012), Amy (SCS Class of 2014), and Will (SCS Class of 2018).